When you’re trying to build up your abs there are many different products out there on the market that are ready to help. Many of these products aren’t that good and can actually end up hurting you more than they help. 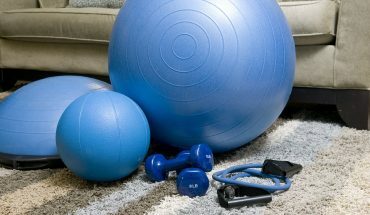 Below, you’ll get the low down on what abdominal exercise equipment you should check out and which ones you should avoid. Also, you’ll see some things we recommending looking up before you start your exercise routines. Believe it or not, many of the exercises that fitness books recommend can actually hurt your body if you’re not careful. These exercises put strain on the lower back and spine and can do permanent damage to those areas if you’re not careful with what you’re doing. Crunch: The crunches you learned how to do in high school gym class have been hurting your body all these years. If you buy a piece of exercise equipment that uses the traditional crunch as a good exercise tip, avoid the advice and try other things. Ab Rocker: You may have seen commercials for the Ab Rocker on TV. It’s basically a small frame that you lie on that flexes in and out on your abdominals in hopes of building them stronger. Not only is this method ineffective, it also doesn’t do too well in the health regards either. Stay far away from the Ab Rocker if possible. One of the top rated products out there for working the abs is this wheel from Valeo. It works by plopping it onto the ground and grabbing a hold. You lay down on the ground with it and use your upper body strength to move it in and out from your body in pushup form. The crunching motion on your abdominen produces results fairly quickly as the workout is very intense on the stomach region. The Valeo can be had for less than $20 and should be in everyone’s home gym. If you have a little bit more strength in your midsection already, you may want to consider a step up from the Valeo Ab Wheel. The Powerline Roman chair relies solely on body strength to lift yourself up. You suspend yourself across two beams and using only your upper body, you flex it in and out to work your abs. The Powerline is a little more expensive than traditional equipment and will cost you about $150 depending on the retailer you go to. Also, you’re going to want to make sure you have enough space in your home gym to put something as large as the Powerline Roman Chair. The Weider Power Tower is really an all in one ab exercise machine. It too costs about $150, but it does a whole lot more. All of the ab exercises you can think of, it can handle. It stands upright in your home gym and lets you grab onto different handles and bars on the upright shafts. You can then lift your body in a multitude of different ways to work not only your midsection, but also the rest of your body. One of the nicest features of the Power Tower though is not its ability to help you workout, but its ability to fold up and be stored out of sight. People don’t like to have gym equipment strewn about their house, so being able to fold up the Power Tower is a nice feature.